Two leaders in Birmingham’s Jewish community made large gifts toward the effort to revive football at the University of Alabama at Birmingham. 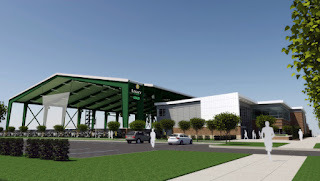 On June 28, the UAB Department of Athletics announced a $1 million commitment from Jimmy Filler, the largest gift to date, and on July 6 a $500,000 gift from Harold Ripps was announced. The gifts are toward the Football Operations Center, a $22 million project that is to open before the 2017 season. Filler and his wife Carol, along with Ripps, have been longtime supporters of UAB and are members of the Champion Club, a group who provides the philanthropic leadership within UAB Athletics. Filler also serves as an active member of the UAB Athletics Campaign Committee, while Ripps is on the campaign committee and the UAB Athletics Foundation board. When the UAB administration shuttered the football program on Nov. 30, 2014, a day after the team became bowl-eligible for the second time in program history, Filler was a vocal critic of the decision. After tremendous public pressure, the decision was reversed on June 1, 2015, with the team returning for the 2017 season. Construction on the UAB Football Operations Center, which will house office space, meeting and film rooms, athletic training facilities, locker rooms and a weight room, is scheduled to begin later this summer in anticipation of opening prior to the start of the 2017 season.